The Branch Ring is not your typical engagement ring. 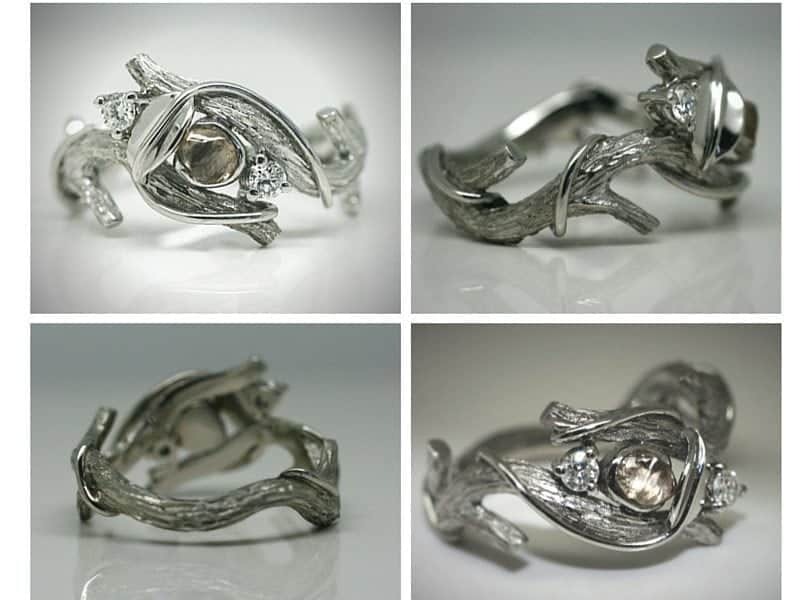 This stunning, nature-inspired ring may not be most people’s idea of what an engagement ring should look like, but it is, undoubtedly, outstanding. The design was inspired by the partner-to-be’s occupation (she’s a horticulturalist). 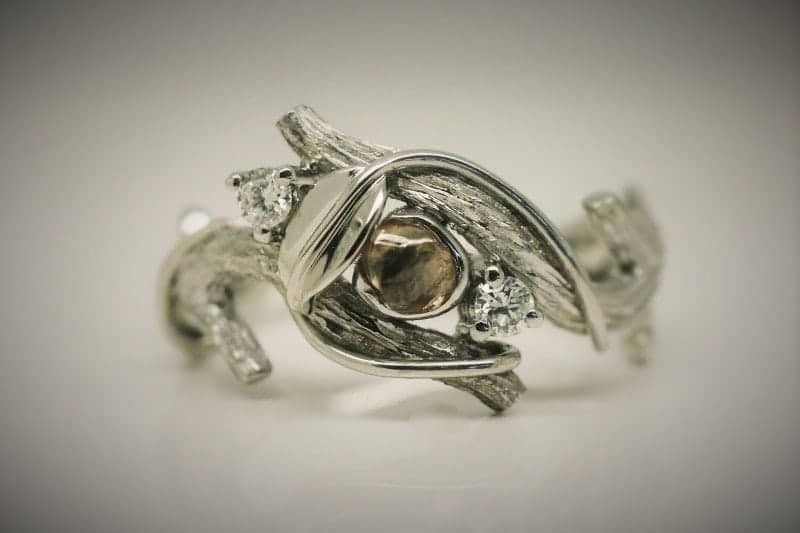 As a result it features vines twisting around a tree branch, cradling an uncut Argyle champagne diamond. The rough diamond is flanked by two Argyle brilliant cut white diamonds (for some added sparkle). The ring was crafted by one of our extremely talented jewellers, the wonderful Chris. It was fabricated and carved out of platinum entirely by hand. Platinum was the metal of choice because of the lovely ‘heft’ it gives to the ring. And, importantly, because of the physical strength it lends to the design. It may not be your style, but there’s no denying it’s a work of art to be admired on many levels. That’s the beauty of bespoke jewellery. Few things say ‘I love you’ more than going to the effort to have something totally unique made to delight just one person.